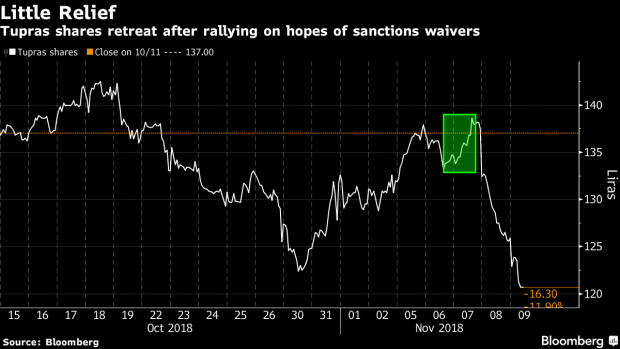 (Bloomberg) -- The Trump administration’s sanctions on Iran are the latest irritant in relations between Turkey and the U.S. even as the two NATO allies move past their worst diplomatic crisis in decades. Iran accounted for more than a quarter of Turkey’s daily average imports of around 830,000 barrels last year, according to data from the market regulator. But as of August, it made up less than 20 percent of Turkey’s purchases. --With assistance from Tugce Ozsoy.